The NC State College of Education will graduate 163 undergraduate and graduate students Friday, Dec. 15. The commencement ceremony begins at 1:30 p.m. and will be held in the McKimmon Center’s Room 2. A reception will follow in Room 7. The ceremony will also be livestreamed on NC State Education’s Facebook page. Kristy Teskey, a member of NC State Education’s advisory board and executive director of My Future NC, will deliver the Charge to Graduates. 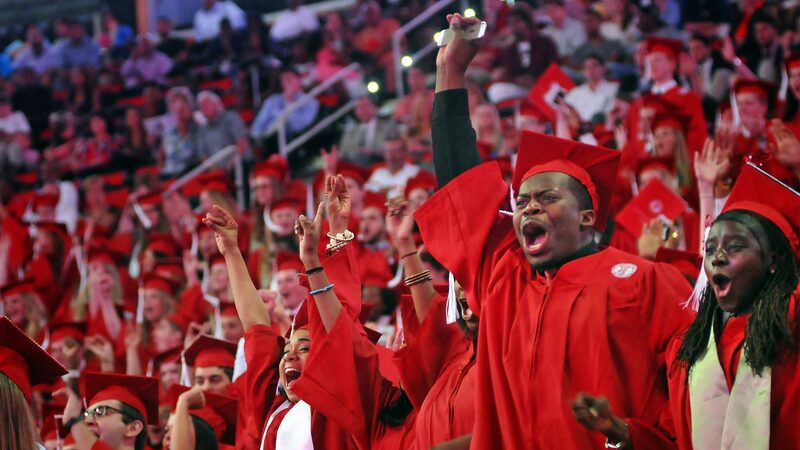 NC State Education graduated 330 students in May, bringing the total number of those who graduated from the college in 2017 to 493.